We found the best tools for the job. Struggling to find closet space for bulky winter coats and accessories? While a complete remodel is not always feasible, simply organizing a closet is bound to free up extra space. We reached out to a group of professional organizers to get their biggest tips on maximizing closet space. "The whole point of organizing your closet is to make it as easy as possible to do what you're doing," New York City based professional organizer Laura Cattano told TODAY. Don't over-buy clothing: Tova Weinstock of Tidy Tova lives by the "one in, one out" method, meaning that every time you buy something, you have to get rid of something else. Double hang your clothing: Professional organizer and interior designer Jeffrey Phillip recommends double hanging your clothing using a double handing closet rod, while Lisa Zaslow from Gotham Organizers favors cascading hanger hooks. 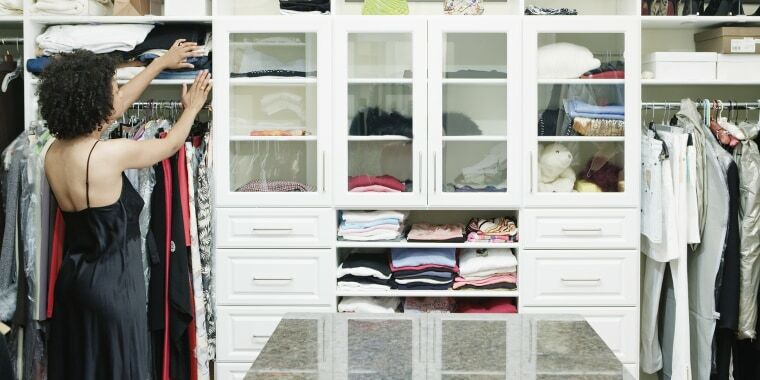 Do seasonal swap outs: Professional organizer, mom and founder of Rachel and Company, Rachel Rosenthal, recommended seasonally switching out the clothes in your closet to add space. At the beginning of each season, review your clothing to make sure you still like it before hanging it up. When the season is over, pack away all the clothes you won't be using for the rest of the year. 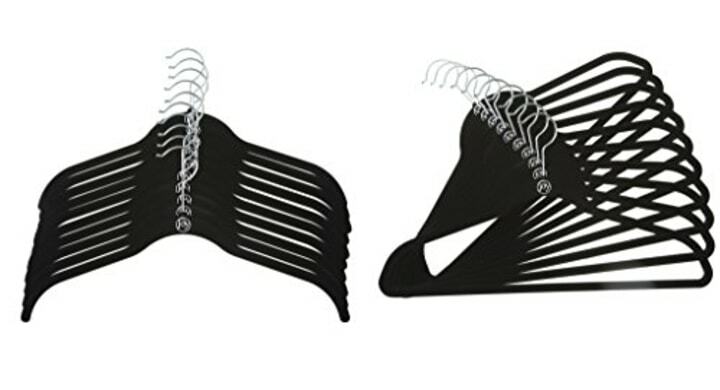 Use the backwards hanger method: After using her swap out tip, Rosenthal proposes starting the season with all of your hangers backwards and then at the end of the season you will be able to see everything that you didn't wear and (hopefully) get rid of it. It will help pare down your clothing in the long run. Add hooks: Cattano's biggest tip for organization are wall hooks. She uses them for anything from bags, to belts to setting aside the outfit you're planning on wearing the next day. Pack inside things: Pack off-season clothes in unused suitcases to hide them away without adding more clutter, shared Rosenthal. Stagger shoes: Shoes should go heel-toe on the shelf, said Cattano. This may not seem that it would save a lot of space, but those inches add up quickly. File fold: Both Weinstock and Rosenthal suggest using the vertical folding method (made popular by Marie Kondo) for items in drawers. It lets you see clothes more clearly and saves space. Fold jeans: Phillip also suggested folding jeans if you're short on hanging space. Use every inch: Don't leave any dead, unused space in the closet. "If you can see the back wall of the closet you're not utilizing all the space," said Julie Naylon, Los Angeles-based professional organizer and founder of No Wire Hangers. "These are the best! They save space, and nothing falls off these hangers. And, they are durable," said Naylon. Rosenthal also recommended these, adding that the brand also makes a kid-sized hanger that's perfect for keeping children's rooms organized. Pro tip: Let kids pick out their favorite color get get them involved in the process. 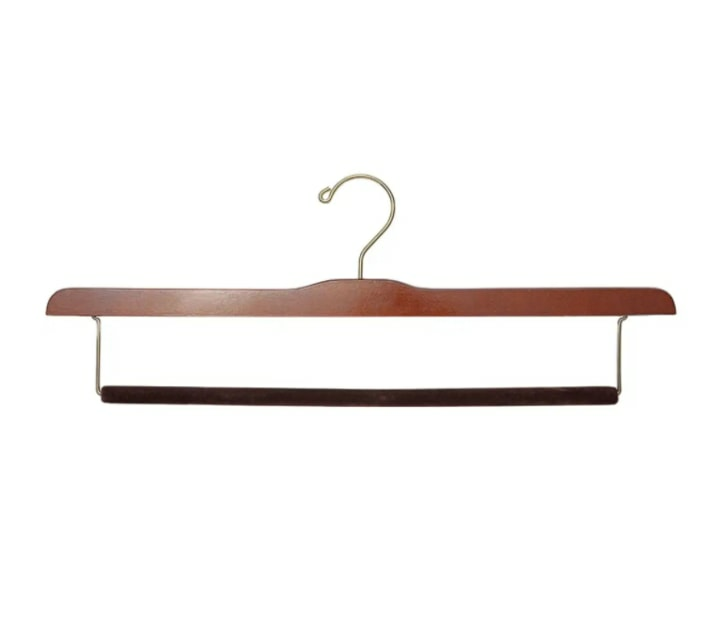 Similar to Naylon and Rosenthal, Weinstock also likes slim velvet hangers. She recommends this bulk box from Amazon, which is a great bang for your buck. "I like these as an alternative to the felted hangers, which some people find a bit hard to use. I would recommend using only one color per closet," Cattano said. Also available at Bed, Bath and Beyond and HSN. 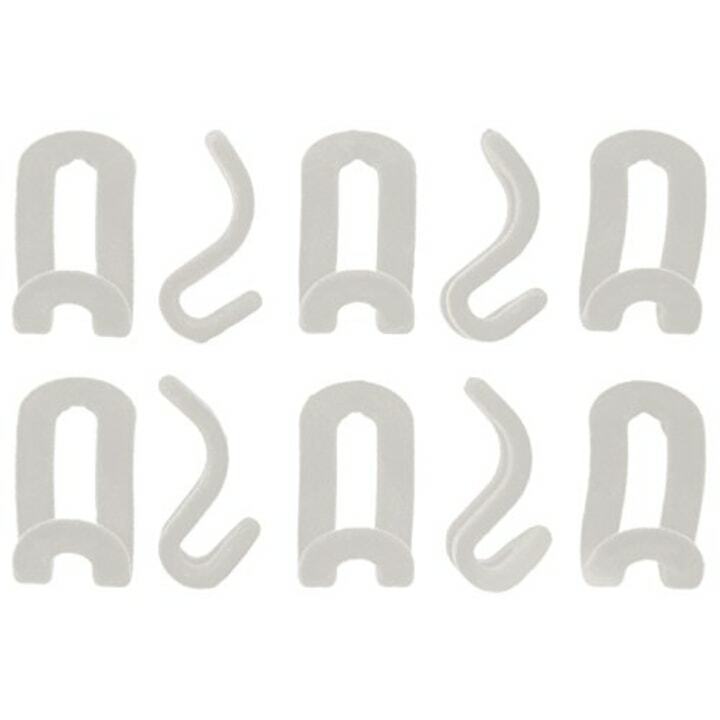 These cascading hooks work with virtually any hanger to create vertical rows to hang clothes from. 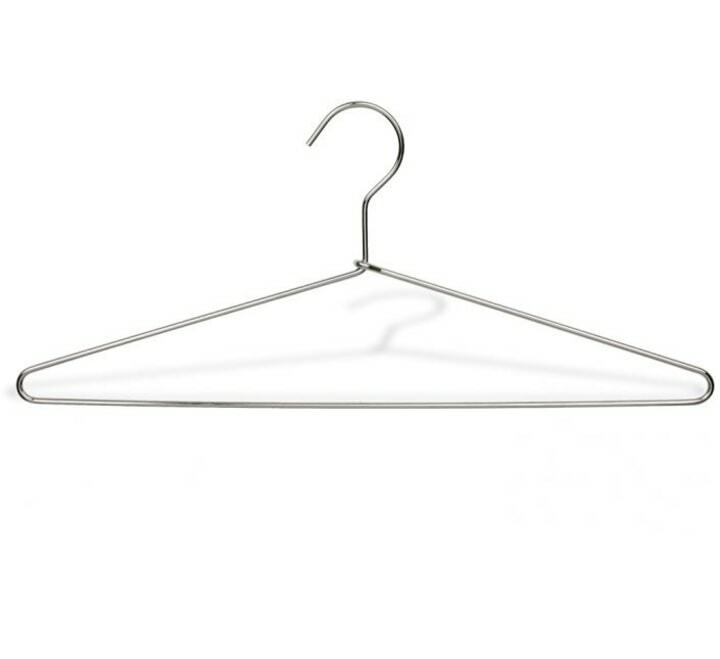 This decreases the amount of hangers on the main rod giving you double or triple the amount of space, according to the brand. Zaslow prefers these over the Real Simple hooks because she thinks they're easier to use. 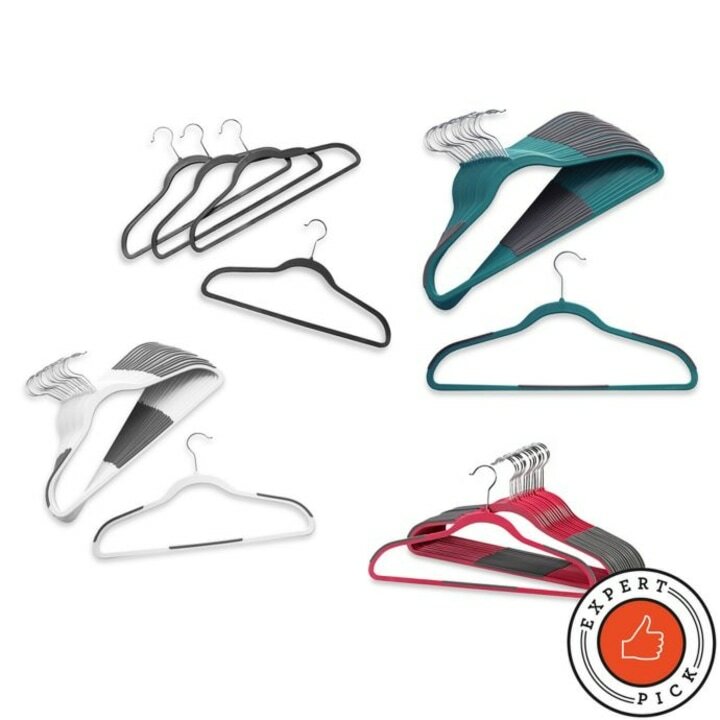 "Tubular metal hangers are great for men with cotton dress shirts, Henleys, Polos, etc.," shared Cattano. "I like these for pants (for men especially) as they take less vertical space than other styles. Plus, they're gorgeous," said Cattano. 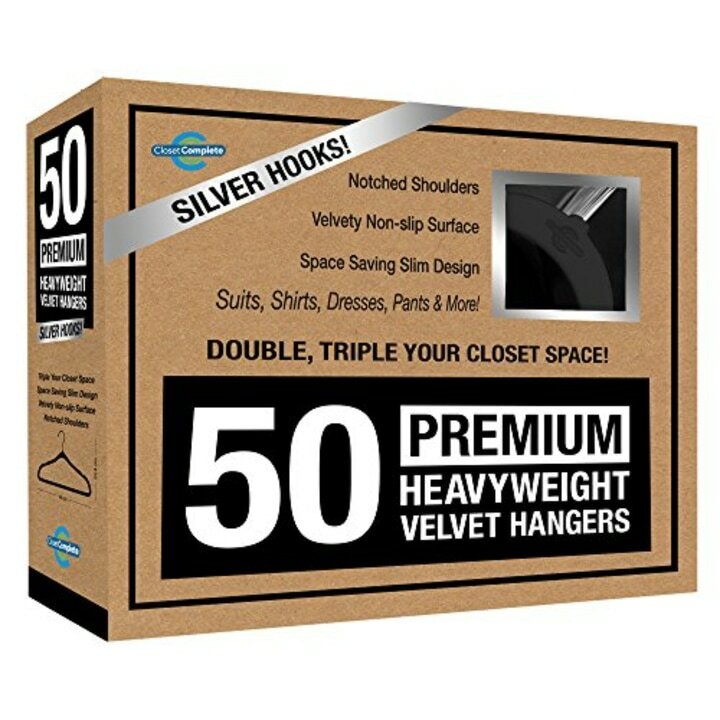 Not looking to spend $80 on hangers? 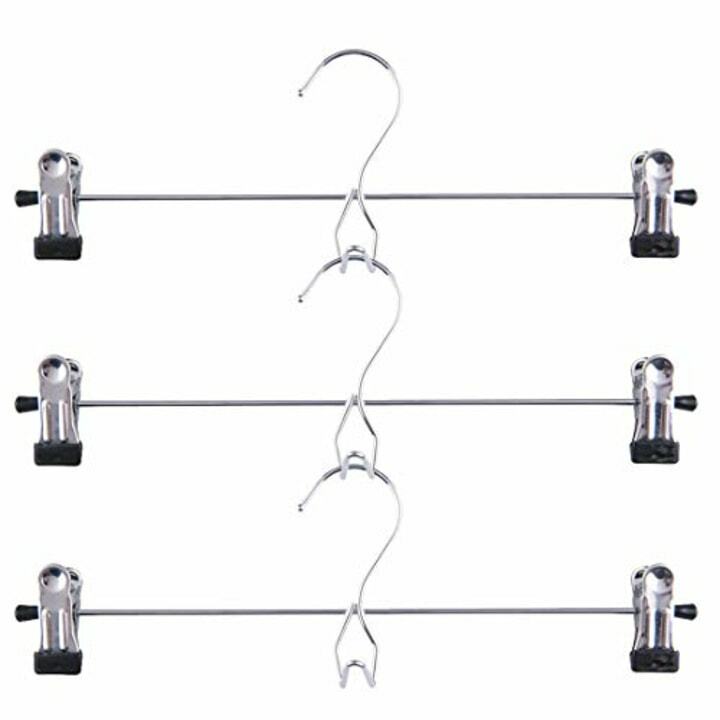 She also recommends the Mawa Double Rod Metal Non Slip Hangers as a cheaper (but also great) alternative. "You can hang these hooks off each other to take advantage of vertical space and to keep outfits together," Cattano said.